Yesterday as we were out working in the garden vi found a tiny little plant under one of the garden tables. It was growing in, what one would think would be the worst of conditions, namely in grit. My boyfriend gently picked it up with roots and all, and as he showed me the plant I recognized the leaves. I smelled the leaves, and yes, it was a Tomato plant! I have been growing tomatoes on our balcony this summer, and somehow a tiny little seed must have been swept away by the wind or with a bird and as it happened, found a place to grow, despite the lack of fertile soil under a table. I thought this little fierce and courageous tomato plant deserved better circumstances in order to grow, so I replanted it in a pot. This little incident got me thinking. Is the tomato plant in fact a symbol of us before our big breaks (how we try to grow in a hard rock climate before we reach the better grounds)? And is this how we live prior to our personal awakening when we decide to take life in our own hands (and give ourselves the means to grow in a more fertile soil)? 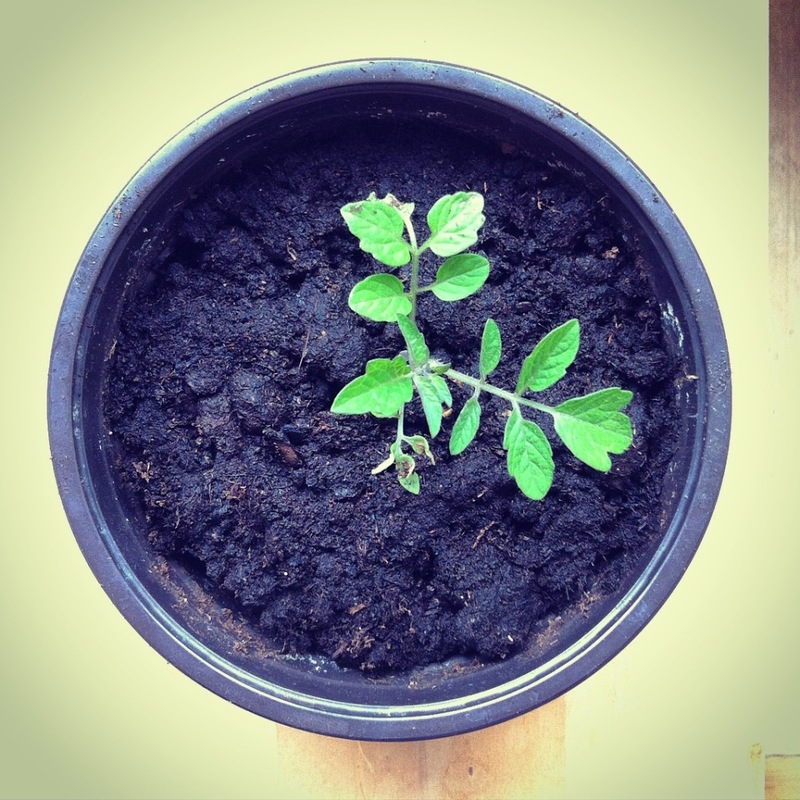 Isn’t this Mother Earth’s amazing power distilled in a small tomato plant! I’m in awe of nature. It tells us so many lessons if we are just willing to look at them. When it comes to life, work and achievements we tend to think that we need everything to be right in order for us to do or achieve whatever it is we are aiming for. I definitely tend to think that I need to work on a project until it’s perfect before I feel it’s ready to be shown to the world. Maybe it isn’t so? Maybe we just need to start, and take the leap of faith of growing in a rocky climate for a while. Maybe all one needs is within us? After all we inhibit this massive power (nature’s power), to despite our circumstances, push through rocks in order to survive and thrive. And maybe when we are ready we will be lifted up, and handed a bigger pot to live, play and work in. Maybe that is this week’s lesson. To do what I can right now, and leave the rest for later. So start planting seeds and take a leap of faith, ’cause that’s what I am going to do!